## README This patch fully translates the Common Route, Marika Route, Misa Route, Rikka Route, and Touko Route. 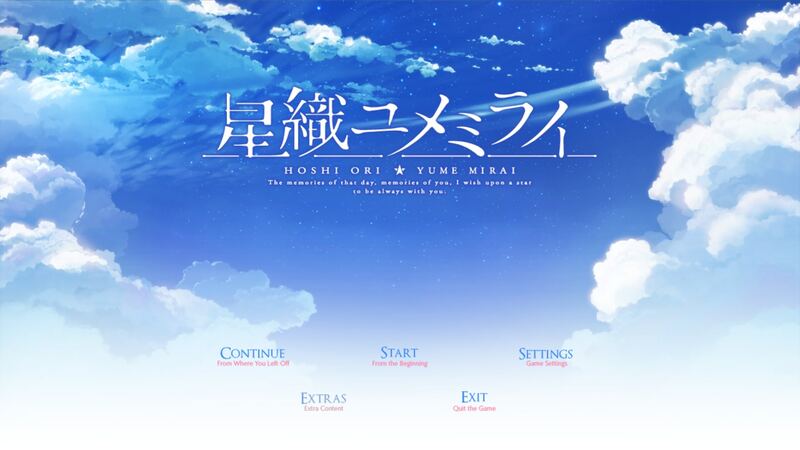 Extract everything in the root Hoshi Ori Yume Mirai folder. Use "Launcher.exe" to run the game. For better readability, please go to Settings > Text Settings > Font Settings and check 'With borders & shadows' This patch has been tested on 601492. We cannot guarantee that this patch will work on other versions.